You will likely not have heard of the winery Maison d’Amis (House of Friends). Their inaugural release is today with an exclusive Viticole bottling of 2013 Cabernet Sauvignon from consultant winemaker Steve Matthiasson. The Maison d’Amis story is nothing short of amazing. This 2013 bottling starts with Instagram serendipity, traversing natural disaster, and coming together with the glue of lifelong friendship - friendship that sees its roots in the beginning of my career in the wine industry. 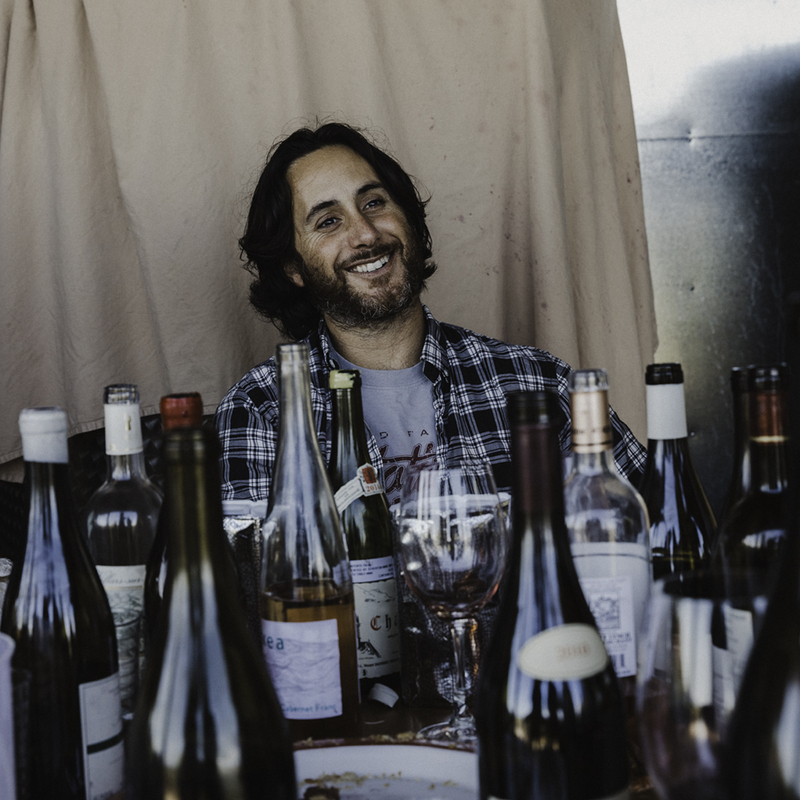 At just past 3am, winemaker Steve Matthiasson was jolted awake, bed shaking violently... He soon realized his whole home was shaking – a home that would move 4 inches off its foundation from a magnitude 6.0 earthquake. It had been 25 years since the Bay Area was rattled this hard. The epicenter was just a few miles south of Napa proper, injuring over 200 people, and causing hundreds of millions of dollars in damage. As part of my morning ritual, I would head to Kean coffee and hit the notecards. I had not yet taken my first level exam with the Court of Master Sommeliers, but if ever there was a time to be motivated it was then. The economy was just starting to turn. You could smell it in the air. I was working in restaurants, and many of the high-rollers from Countrywide Financial, dropping $5-10k a night on wine in April, were applying for waiter positions in July. By Q4, there were no shifts left to give out. The money had dried up. One day, my saintly mother drove down to the coffee shop from San Gabriel to help me study. Having dedicated her life to education in East Los Angeles, no one owned test prep like Joan McClintic. A gentleman next to us couldn’t help but overhear her grilling me on German wine regions and soil types in Alsace… This would be the day I met Michael Villas. Friendship was a foregone conclusion. Michael could cook and I could eat. 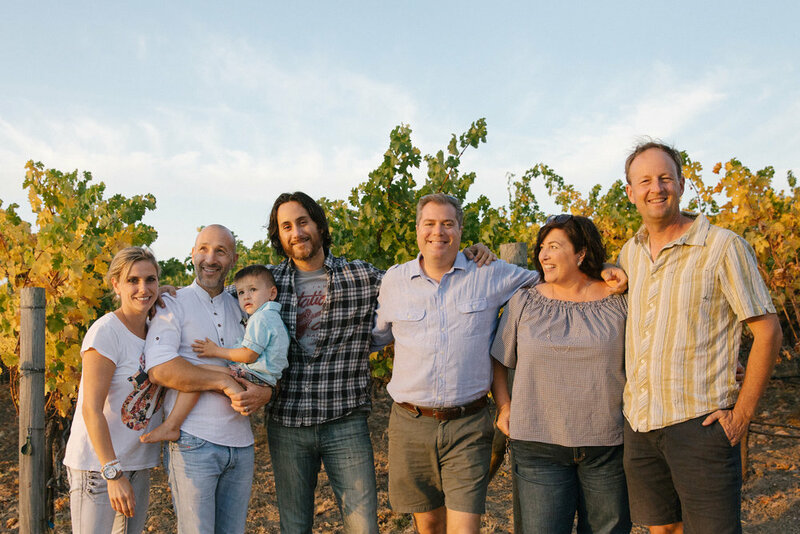 Along with his wife, Alisha, we would form the nucleus of one of my very first tasting groups. It was apparent very early on that Michael and Alisha lived by a code – a fragrant haze of food, wine, and community.I can’t think of any couple who do it more passionately and with more love.Michael is the type of guy who wakes up with a life-ending hangover and dives for razor clams.Alisha keeps him between the lines.They would win my heart and the hearts of many others, including Steve Matthiasson, on a visit years later to his Napa winery. Just a few blocks down the road from Michael and Alisha, I got to know a Romanian man named Nico and his Czech bride-to-be Pavi. Nico and Pavi embody the American dream, taking full advantage of So Cal and its natural resources. Having cut their teeth as service professionals on cruise ships, they were masters of hospitality, and a beacon for industry types of all backgrounds. By day, it was ambitious outdoor get-togethers. When night fell, our immediate friend group would regularly huddle in Nico and Pavi’s repurposed garage. A familiar scene saw us prying ourselves off the couch to the sun coming up – having wrestled to the death the night before, as drunk men with extra chromosomes tend to do. Among this crew was a film student at Chapman named Jason Wise.Jason and I had no clue at the time that Nico’s introduction would lead to anything but a friendship.But both of our lives would be transformed forever – strangely by those all-night ragers, emptying wine bottle after wine bottle.Inspiration is found in the oddest of places, even dingy man caves.Jason went on to direct the SOMM Films. There is plenty of love/hate with social media, but the truth is I would not have Viticole without it. That one little Instagram post on May 1st 2016 redefined what I thought this business could be. And just like that…Maison d’Amis was born. When I visited Michael and Alisha last summer, it would be the first time tasting what was left of this cab from the fabled earthquake vintage. I didn’t know what to expect and I honestly did not come over looking for a Viticole offer. I just wanted to taste a friend’s wine and hang. Let’s just say I did not expect to be overwhelmed by a young Napa cab. Even restrained styles are just too much for me in their youth. But this had a finesse and texture that reminded me of good Loire Valley Cab Franc. I kept going back to it over the course of the day, fearing friendship was coloring my perspective. But it kept singing, and come nightfall the entire vintage 2013 would belong to Viticole. And so, the crew had reason to get together once again. We traded in the garage in Orange County for a winery in Napa. And while the four parts of Maison d’Amis still wait tables to keep cash flow positive, we would all taste a new life of business ownership, the agony and the ecstasy. With Steve Matthiasson running point, we would shove off to the two vineyards he farms by hand that comprise the ’13 Maison d’Amis Cabernet. 2/3 of Maison is Coombsville fruit on heavy volcanic soil. From here, we get depth and that savory, mineral streak. Coombsville is in a moderated section of Southern Napa, cooled off by San Francisco’s northern extension, San Pablo Bay. The last 1/3 is from a 4-acre parcel of Oak Knoll fruit which brightens the mid-palate and lifts aromatics, drawing out those high-toned, herbaceous notes that define Cabernet. As the label states, the ingredients are “grapes, yeast, and so2”. The latter, the use of sulfur, is perhaps the biggest update to the throwback style. Better attention to detail in the vineyard and the cellar, allow Maison the ability to reduce the amount of sulfur in the finished wine. This helps us retain freshness and access the wines true character earlier in its life, which help explain partly how I was won over by this young bottling. Life is funny. It just keeps flowing like a stream, and no matter how hard you try you can’t slow it down. Some people come into your life and most go. Of the ones that leave, there are a small handful that keep circling back. These are the special ones and fate just seems to create circumstances that keep the streams intersecting. The world has changed so much since 2008. The economy is back for now. We wrestle less, check our phones more. But threw it all is a house of friends. May it always remain full.